At Betta’s Burnie store, our expert staff are always ready to assist you with selecting your next white goods or home appliance purchase. Campbells Betta Home Living has a wide selection of products from all the leading brands for you to choose from including, Beko, Breville, Electrolux, Fisher & Paykel, Hisense, LG, Panasonic, Samsung, Simpson, Sunbeam, TCL andWestinghouse. In store you will find fridges and freezers, kitchen and cooking appliances as well as washers and dryers – we have it all. A local since 1956, Barry Campbell owns and operates the Betta Burnie store and loves being involved in the community. The Burnie store supports the local football club, Kart Club and the Burnie Athletics Club through sponsorships, as well as individual donations to charity groups and fundraisers. 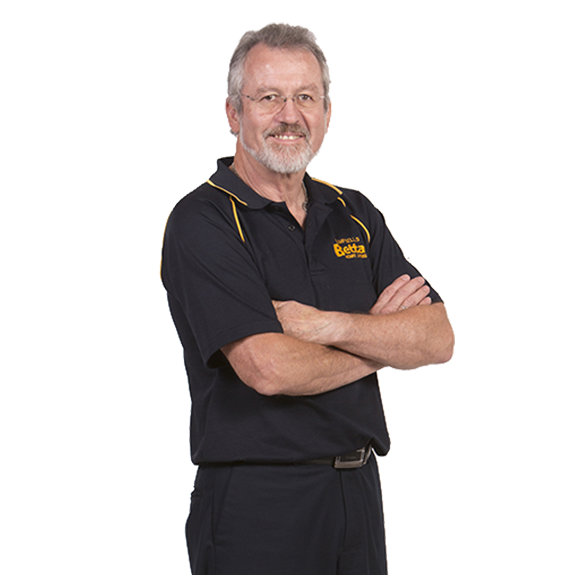 Barry is a member of the North Western Kart Club, enjoys dining at Rialto’s Italian Restaurant, and supports the local Burnie Dockers Football team.